Today is St. Patrick's Day. No, it's not a Jewish holiday, but it's a day when people all over the world celebrate the culture of Ireland, and that does include the Jewish presence in the Emerald Isle. Shalom Ireland is a one-hour documentary about Ireland’s remarkable, yet little known, Jewish community. This fascinating film chronicles the history of Irish Jewry while celebrating the unique culture created by blending Irish and Jewish traditions. From gun running for the Irish Republican Army during Ireland’s War of Independence to smuggling fellow Jews escaping from the Holocaust into Palestine, Shalom Ireland tells the untold story of how Irish Jews participated in the creation of both Ireland and Israel. The film profiles several prominent Irish Jews including Robert Briscoe, the first Jewish Lord Mayor of Dublin; the renowned Talmudic scholar Rabbi Isaac Herzog, who served as the first Chief Rabbi of Ireland before becoming the first Chief Rabbi of Israel; and Rabbi Herzog’s Belfast-born son, Chaim Herzog who became President of Israel. Today, as their population declines and their culture is in jeopardy of extinction, Irish Jews recently launched an effort to revitalize Dublin’s once vibrant Jewish community. Irish music and dance has found its way to Israel, and Israel has established the Israeli Academy of Irish Dance. 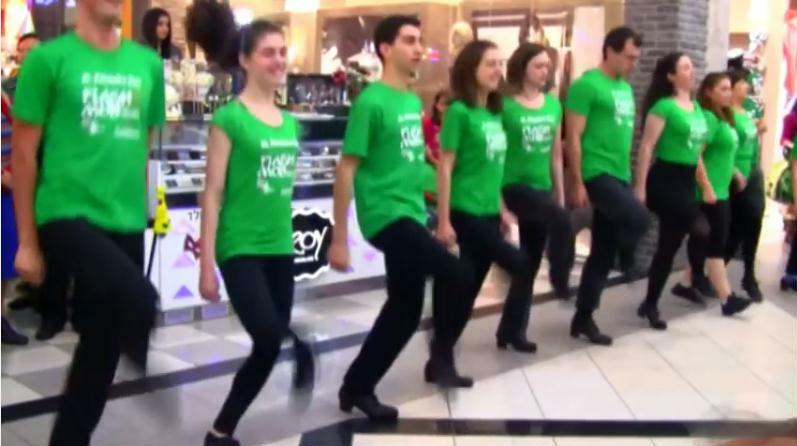 In 2014, a group of dancers from the academy showed up on St. Patrick's Day at the Ayalon mall in Ramat Gan as a flash mob performing Irish dances to the delight of shoppers. Here is a trailer for the film Shalom Ireland followed by the video of the Irish dance flash mob in Ramat Gan.